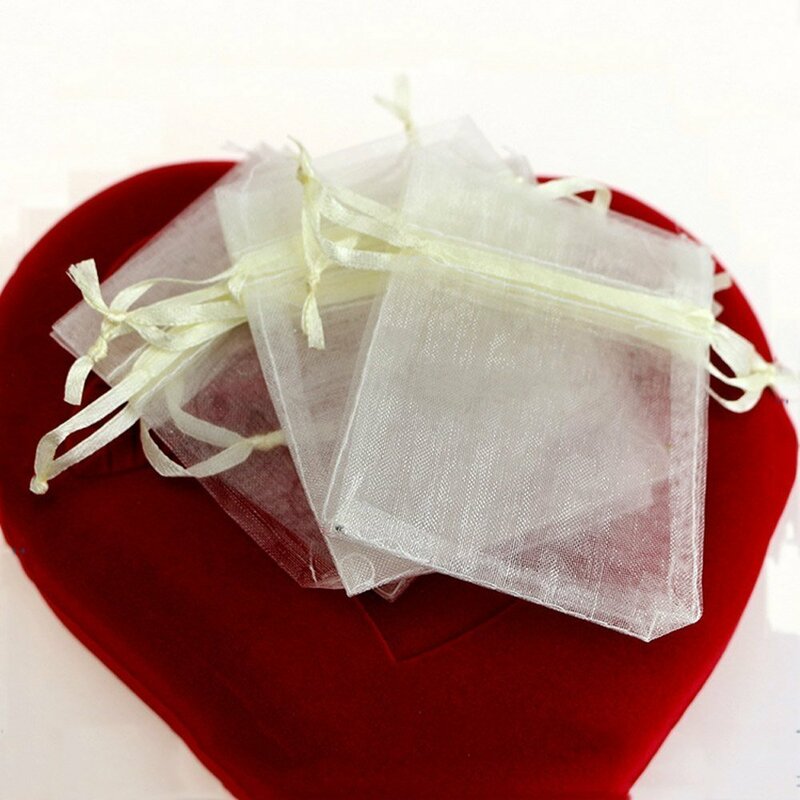 1.MATERIAL: Top quality sheer organza material, shine, soft and high density. 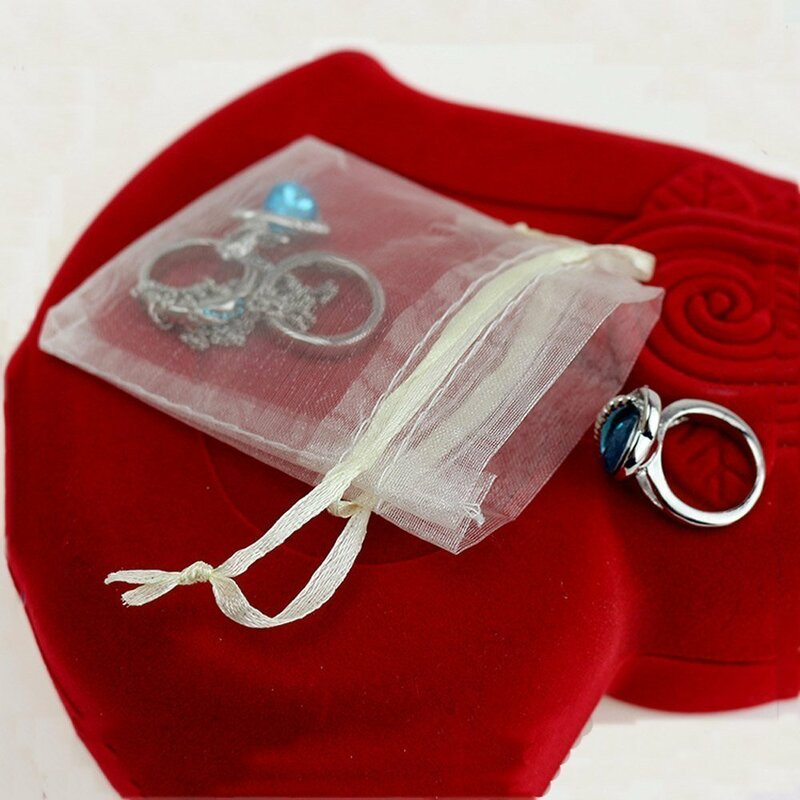 High quality satin drawstring, beautiful and attractive. Transparent material makes you see the inside content clearly. 1. For girls, you must have many hair band, earrings, necklace and a series of accessories, how to organize is a big problem. Too many things and types makes your desk looks very mess. 2. For women, men or babies, cosmetic is necessary. Cream, Body cream, lipstick etc around your makeup table. For used-items, how to storage. For new items, how to classify is a important thing. 3. If you have a baby, she/he must have many toys, the big toys are easy to storage. But the small things, like domino, foam, small cars, it is very difficult to sort out. 4. For every family, there are lots of items need to sort out. If you still looking for a good storage method. 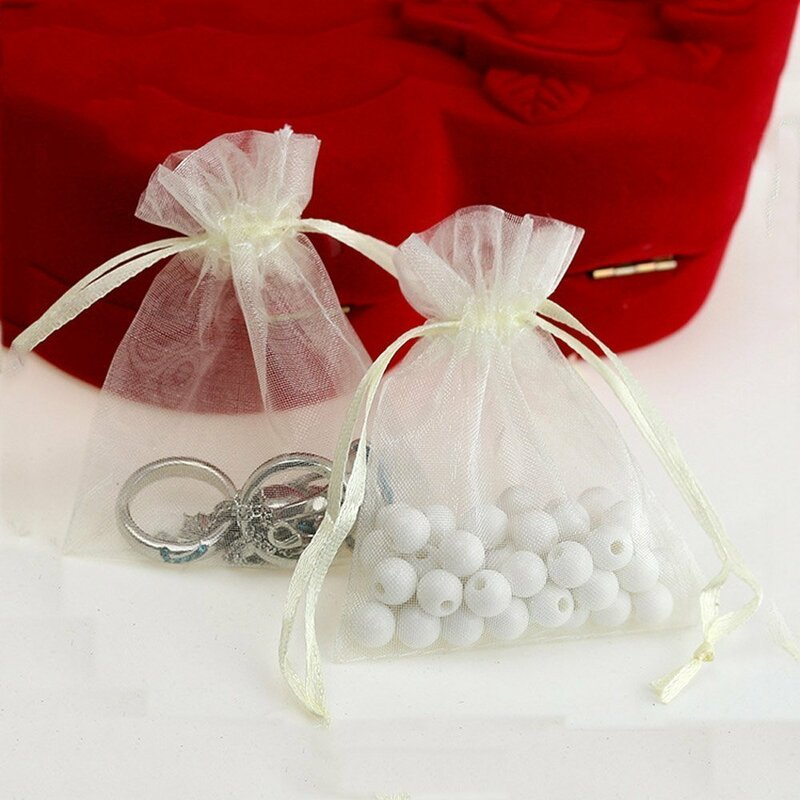 If you have above same problems with us, you’ll be able to take our organza bag as reference. 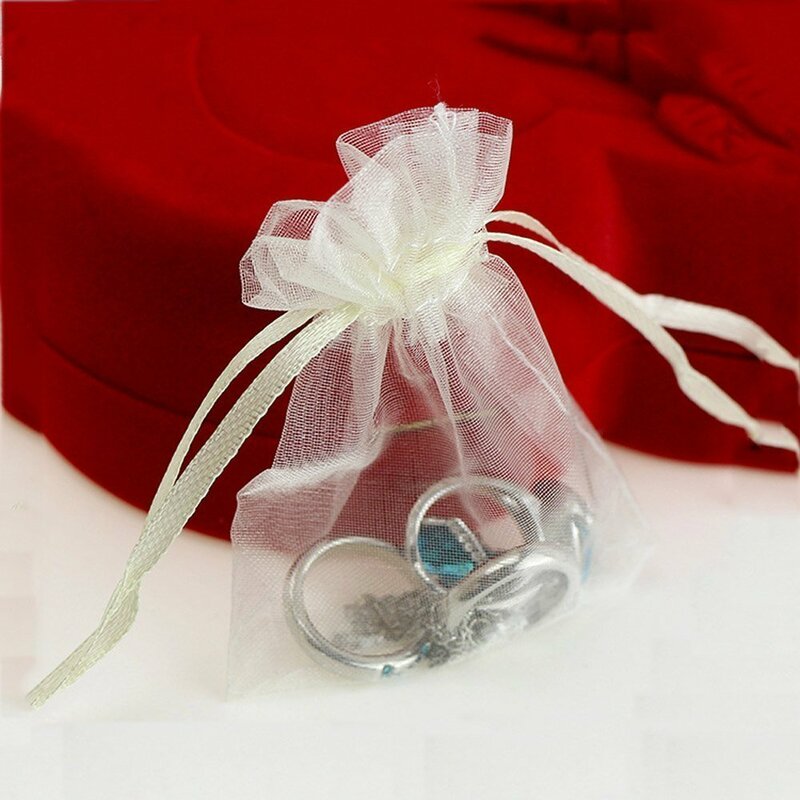 Dealglad organza bag is made of Top quality organza and satin drawstring, shine, soft but durable. Meanwhile, the transparent material makes the inside content is visible, you need not open the bag to see what’s inside. The light and foldable bag will not occupy your space, you’ll be able to takes it around the world, such as short shuttle or business shuttle. Also different colors for you choose. It is a good choice for item classify and shuttle. Please allow 1-3mm error because of manual measurement. Please allow slight color difference because of camera pixel and computer screen pixel. 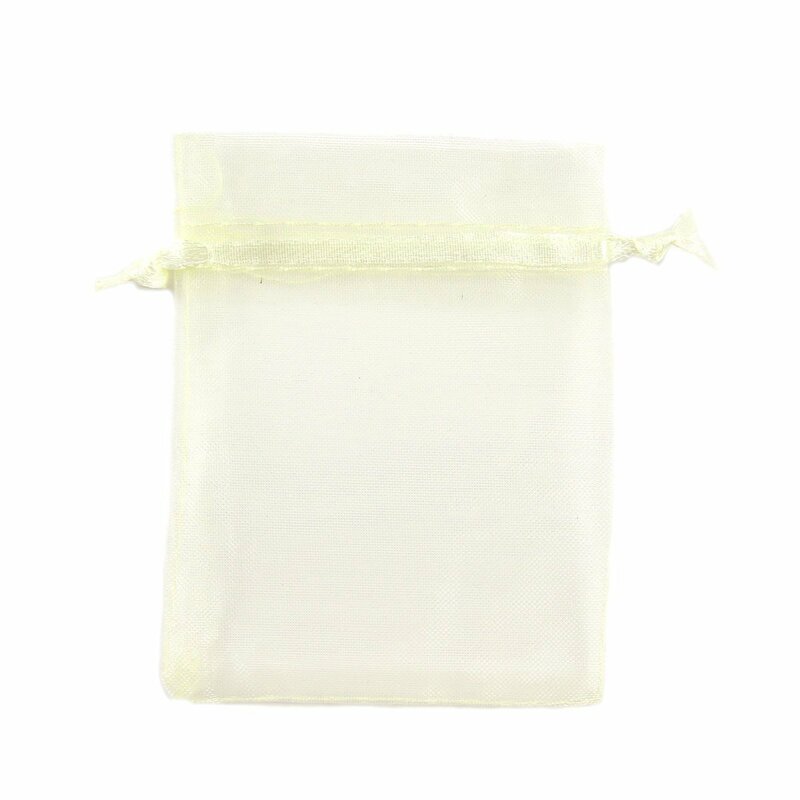 1.MATERIAL: Prime quality sheer organza material, shine, soft and high density. 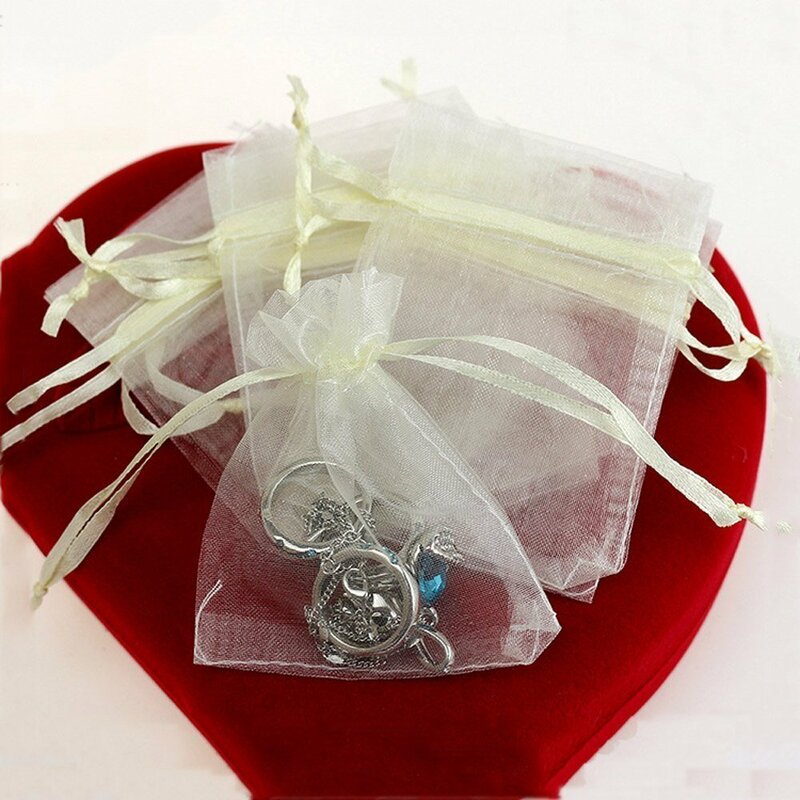 Top quality satin drawstring, beautiful and attractive. Transparent material makes you see the inside content clearly. 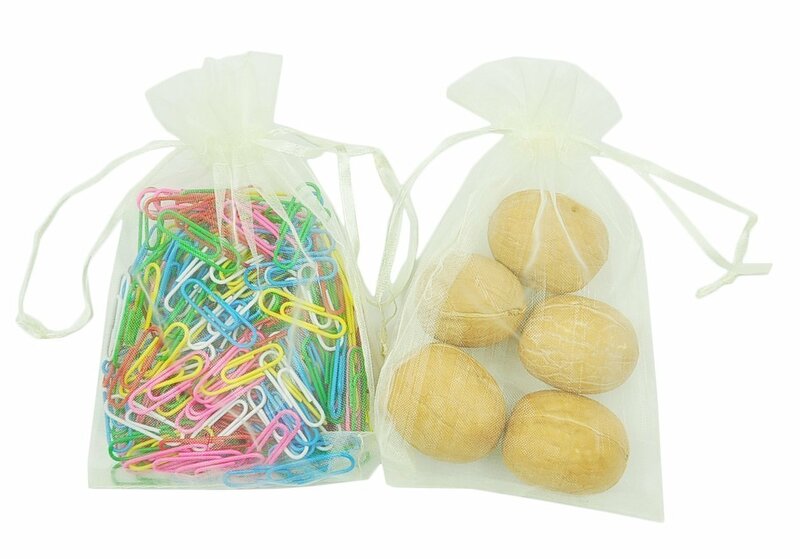 5.COLORFUL: Different colors can meet your request and hobby, you’re going to find your ideal packing pouch. 3×4”, 4×5", 4×6", 5×7", 6×8", 7×9", 8×12"